An Association of Companies Defining Movement (the act and the illusion) brings together works that examine the relationship between objecthood, performance and space. And, where possible, blur the distinctions between these assumed separations. A decorative screen draped with items of clothing sits within the gallery. 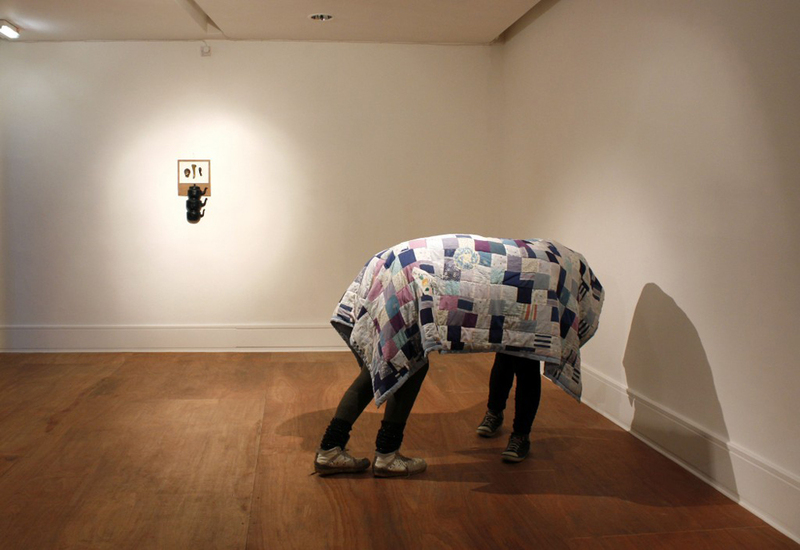 Susie Green will interrupt this assemblage as she adds and subtracts from it over the duration of the exhibition. In doing so she suggests a mutual dependence between subject and object, between movement and stasis. 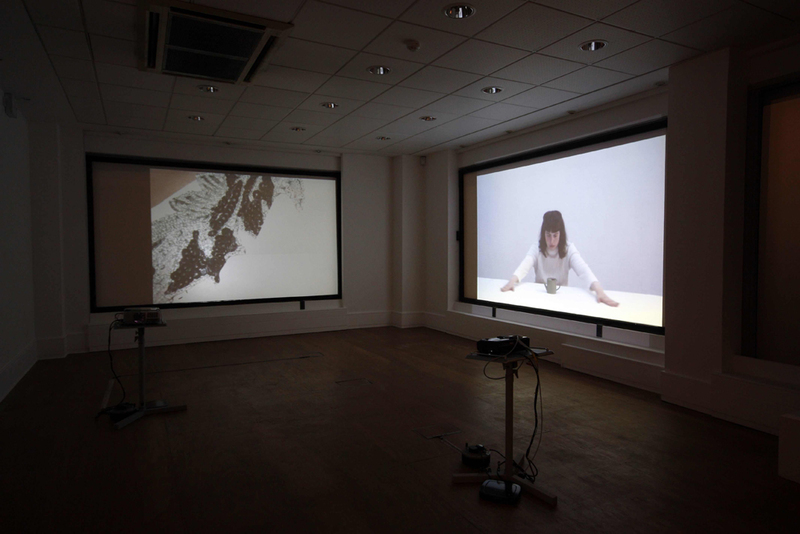 Green’s video work in the adjacent space is an echo of the sculptural and focuses on the materiality of fabric worn on the body. The collection of images that make up the video fade in and fade out of each other, alluding to movement whilst asserting their status as still compositions. Shelly Nadashi’s practice is rooted in live art but also explores the relationship between object as prop and sculpture. The act of making objects out of papier-mâché is one developed through a background in visual theatre. Nadashi treats these objects as sculptures in their own right and recontextualises them within a live/visual art practice rather than within the theatrical parameters in which they so often appear. The tension created between stillness and the potential for movement is formed within the sculpture by Ortonandon (a relatively new collaboration between sisters Anna, Katie and Sophie Orton). The trompe-l’œil is intentionally playful in its manipulation. Existing within a temporal moment, it allows the viewer to participate within an illusory experience. In the accompanying text Questions of Time, Encounter and Currency, Anthony Schrag comments upon the links between objects, performative acts and how time is an important part in how they exist. We, as spectators, encounter and participate within these pseudo-theatrical moments, therefore becoming part of these cyclical situations. We often view objects in anthropomorphic terms; a prop within performance waiting to be activated, a documentation of action. The relationship between object and performance is frequently placed under scrutiny and is still in flux. Hopefully this collection of work will contribute to the ongoing dialogue.